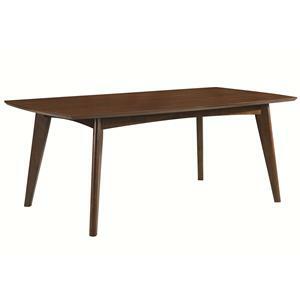 The 60" Bow-End Black Laminate Table creates a dramatic presence in your dining area. 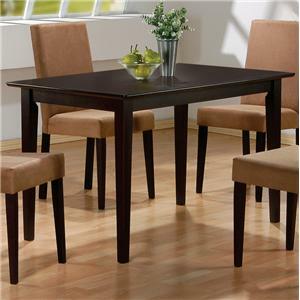 Its laminate surface offers easy maintenance and durability while the bow-end corner design softens the appearance of the table. 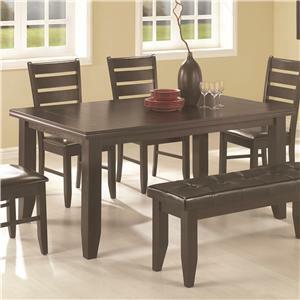 Use this table in your dining area, kitchen, breakfast nook, or even out on the patio and gather family and friends to enjoy a relaxing and welcoming dining atmosphere. 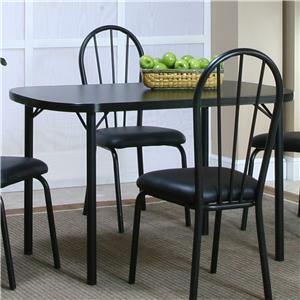 The Cramco Dinettes - Ebony 60" Bow-End Black Laminate Table by Cramco, Inc at Value City Furniture in the New Jersey, NJ, Staten Island, Hoboken area. Product availability may vary. Contact us for the most current availability on this product. Case Construction All are constructed using the highest-grade components to insure years of service and durability. Finish Electrostatic powder coat baked-on finish. 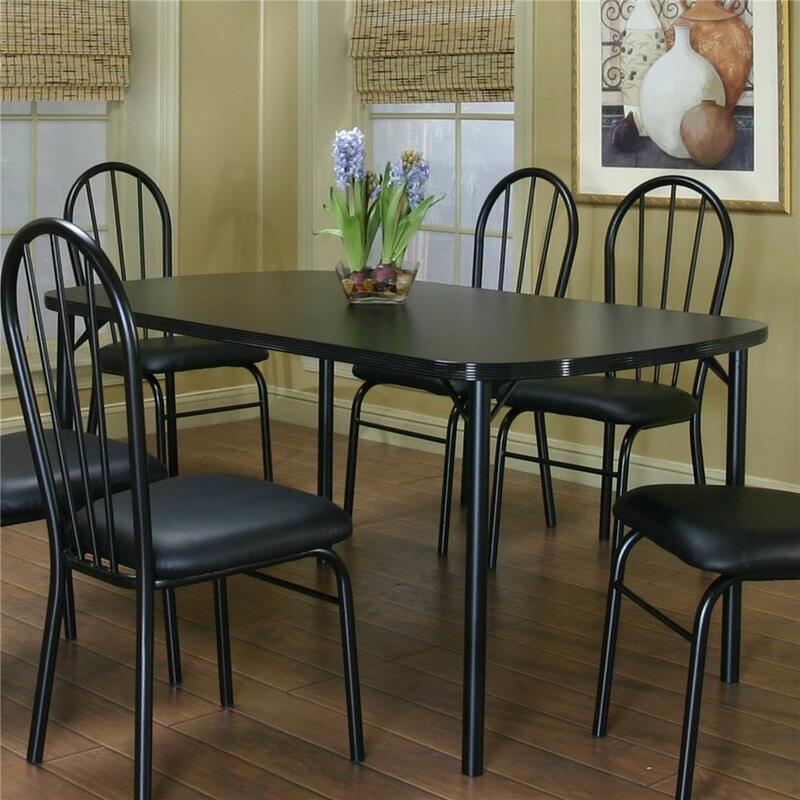 Case Detail Fully welded and engineered steel frames will afford years of dependable use. 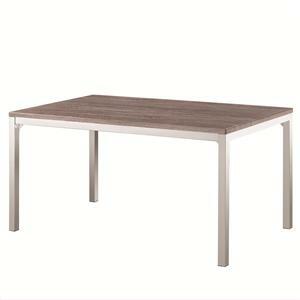 Description: Top Domestically produced mar and heat resistant thermally fused laminate table tops offer durability. 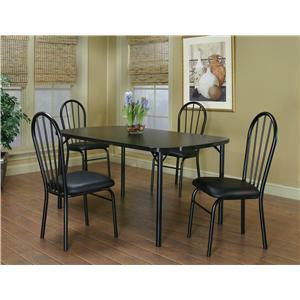 Cramco dinettes offer you the Ebony collection, a durable and inexpensive dinette set for everyday use. 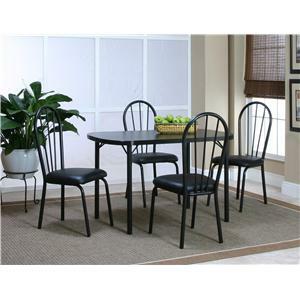 Ebony features tables with laminate table tops for easy cleaning and chairs with soft upholstered seats and spindle designed backs. 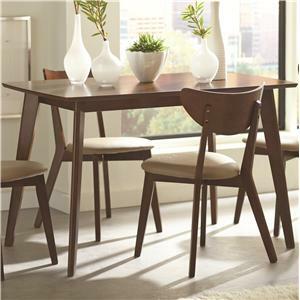 The thermally fused mar resistant laminate table tops offer durability for years to come while the seat fabric enables easy cleaning and long wear. 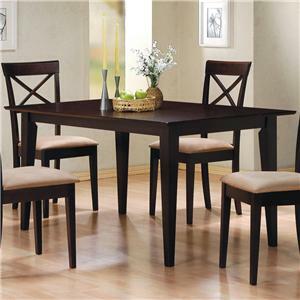 Besides Ebony's durable and functional attributes, this collection also offers a stylish touch to your home decor. 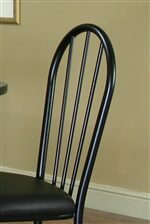 A dramatic black finish flows smoothly over straight tubular legs and sleek surfaces for a dramatic, yet elegant style. 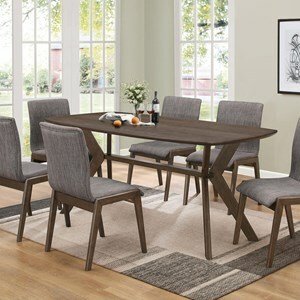 Reserve the formality of the dining room for big dinners, holidays, or other special occasions and use this collection in your kitchen, breakfast nook, or even outside on the patio. 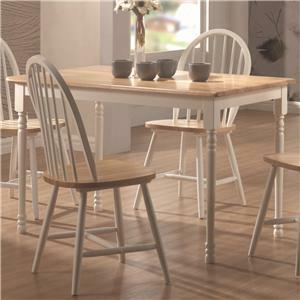 Create a more relaxed and casual atmosphere for everyday family meals and enjoy laughter and entertaining conversations. 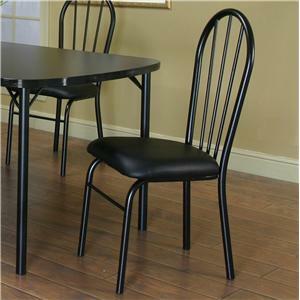 The Cramco Dinettes - Ebony collection is a great option if you are looking for Casual furniture in the New Jersey, NJ, Staten Island, Hoboken area. 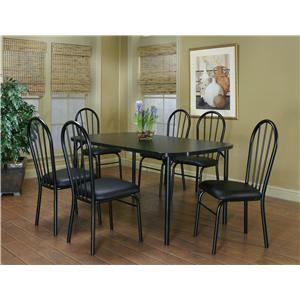 Browse other items in the Cramco Dinettes - Ebony collection from Value City Furniture in the New Jersey, NJ, Staten Island, Hoboken area.